Malin Burnham has been Chairman of John Burnham & Company Insurance and Burnham Real Estate and has remained involved since 1949. In 2008, Burnham Real Estate was acquired by Cushman & Wakefield. Mr. Burnham is a native San Diegan who graduated from Stanford University in 1949 with a B.S. in Industrial Engineering. In addition to his involvement with the Burnham Companies, he has been active as a board member of several major corporations and 16 firms, in total. His present involvements include: Board Member of Sanford-Burnham Medical Research Institute, UCSD Foundation, Rady School of Management, and the USS Midway Museum, and is Chairman of the Sanford Consortium for Regenerative Medicine. Mr. Burnham served as Trustee of Stanford University from 1985 to 1995. He co-endowed the BurnhamMoores Center for Real Estate at University of San Diego. Mr. Burnham has been awarded numerous honors, some of which include: Junior Achievement/San Diego Business Hall of Fame, 2002; Philanthropist of the Year, National Society of Fund Raising Executives, 2000; Civic Entrepreneur of the Year, Economic Development Corporation, 1999; Mr. San Diego, Rotary Club of San Diego, 1998, Gold Spike Award, Stanford University, 1996, and inducted into the Stanford Real Estate Hall of Fame, 2012. 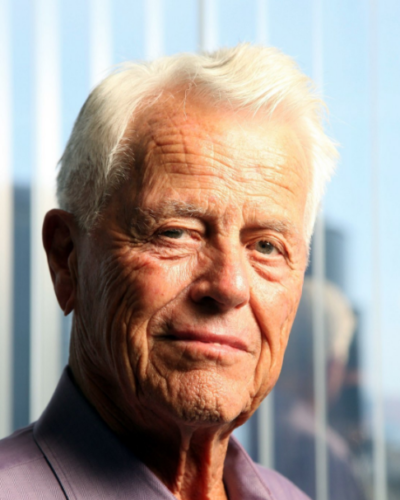 Mr. Burnham has chaired nine major non-profits and has co-founded 14 organizations in his career, most providing direct benefit to San Diego, California and the nation. In the sports world, he has been a world-recognized sailor for five decades and has helped San Diego achieve prominence in both local and professional sports. At age 17, he became the youngest skipper to win a World Championship in the International Star Class. In 1987, he played a leading role in bringing the America’s Cup to San Diego. He is a former partner/owner of the San Diego Padres and the San Diego Sockers.